Market Hours Change Next Week! Every year in October, as the days get shorter and the mornings darker, Hollywood Farmers Market's hours change to start 1 hour later. 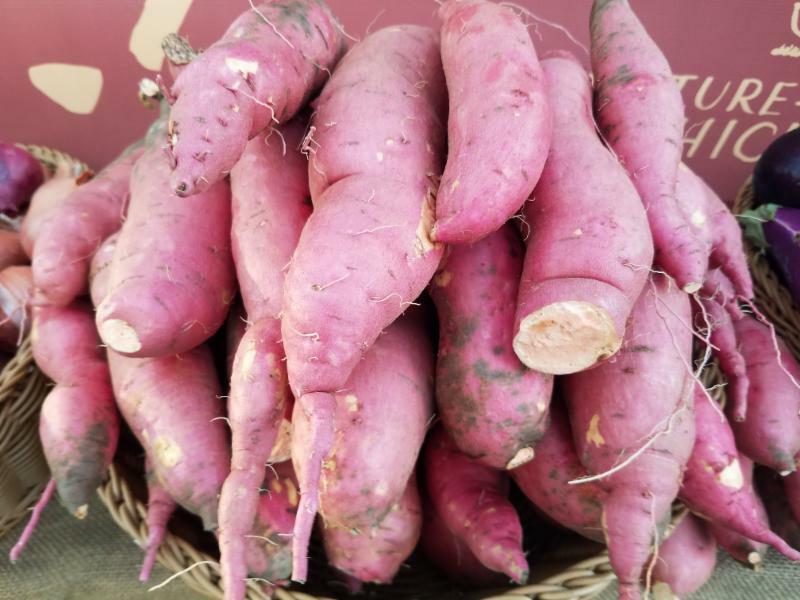 This Saturday is our last 8AM opening of the season, and starting next Saturday October 6th, market will open at 9AM through the fall and winter seasons. So sleep in, make breakfast, and enjoy that extra hour at home. We know we will! It's the most glorious time of the year at market. Some summer crops are still hanging on, especially with days in the 80's this past week; think tomatoes, eggplant, and peppers a plenty at Stoneboat Farm, Big B Farm, and Sweet Leaf Organic Farm. Autumn delights are definitely coming in strong, with barrels of winter squash at Sun Gold Farm, apples and their sweet and crisp cider at Kiyokawa Family Orchards and ProFarm Produce, Japanese salad turnips and Fall broccoli at their best at Persephone Farm and Deep Roots Farm, and the coveted sweet potatoes from Winter Green Farm, Flying Coyote Farm, and Sun Gold Farm. 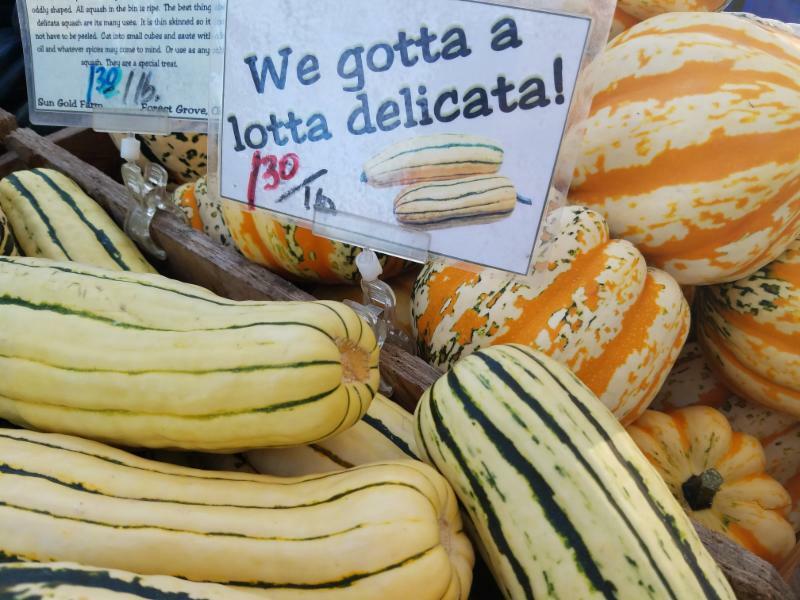 The season is changing, and so are some of our vendors. 2 Towns Ciderhouse is back, and with them their seasonal pumpkin cider Hollow Jack'd. It's the last week at market for Ken & June's Hazelnuts and Gluten Free Gem, so stock up one last time until next spring. Our month-long Instagram Photo Contest will be coming to an end this weekend, so if you haven't already now is the time to enter! Just post your photo(s) taken at HFM during the 2018 season with the hashtag #hfmphotocontest to enter the contest. The winning photographer will receive $20 in market tokens; the runner-up will receive $10 in tokens. If you'd like to follow us on Instagram, our account is @hollywoodfarmersmarketpdx . Full contest rules here . If you've been thinking about joining the Hollywood Farmers Market Board, now is the time to act!The deadline for applications is Monday, October 8, 2018. The Board will invite candidates to an interview at the October 17th board meeting, and elections will take place that evening. New members will be seated effective January 1, 2019. If you are gluten intolerant, have a wheat, barley, or rye alergy, or even worse celiac disease, when was the last time you recall having a pastry so delightfully rich and satisfying, you wanted to burst into song? Well maybe not the song, but if one of these conditions applies to you, you know what I mean. Wait no longer, Gluten Free Gem specializes in providing gluten and allergy-free baked goods, desserts, and pastries. 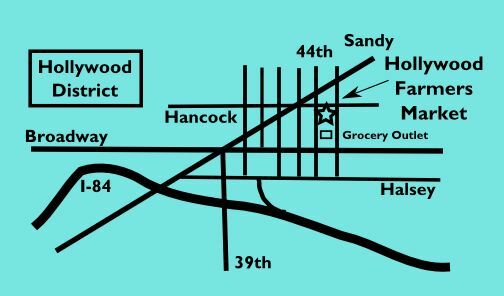 This article highlights the story behind this wonderful oasis in the midst of all the dry, flat, and tasteless gluten-free products on the market today. 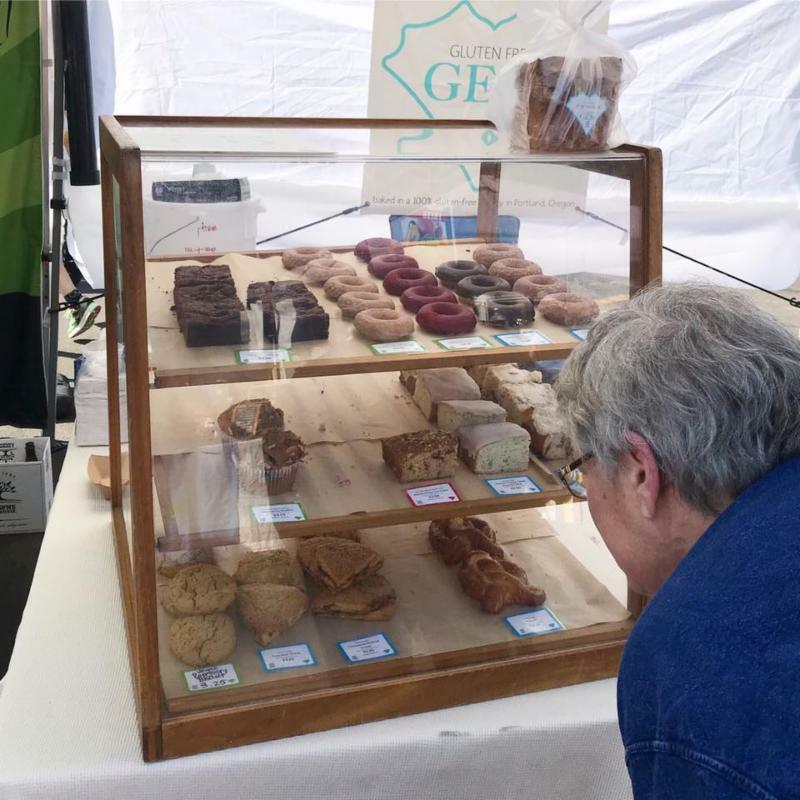 But, if you need a pastry fix now and want to jump ahead, visit the Gluten Free Gem booth at the Hollywood Farmers Market on Saturdays or stop by the retail location on the corner of NE Broadway and 2nd Avenue. Anne Miller comes from a long line of adventurers. Anne is the 6th generation living in Oregon. Her great, great grandmother was the first non-native American baby to be born at Fort Vancouver. Anne calls her heritage ”Old School”. This might be where Anne got her frontiersman-like and entrepreneurial spirit. As the owner of Gluten Free Gem, Anne did not create the bakery because she loved baking. In fact, her journey took a circuitous route before it came to fruition. No, not a baker at all, but rather through an academic background. For several years, Anne was a teacher. However, her love of travel inspired her to become a travel agent, a career which lasted from 1997 to 2003. (While she was able to travel much of the globe, Fiji is still on her bucket list). Traveling soon stepped aside when her two beautiful girls came along. Little did she know that they would be the source of her inspiration for gluten-free baking. After much trial and error, her three-year-old daughter, Greta, was diagnosed with “celiac” disease in December 2005. Celiac disease affects about 1% of the American population. It is caused by an allergy to gluten (Think wheat, barley, and rye) of which some form is commonly found in most commercial products. Significant improvements were noticeable within a short time of cutting out anything with gluten from Greta’s diet. Anne now felt she had to do something to help her daughter as well as anyone suffering from an allergy or sensitivity to gluten. Especially, after Anne removed anything with gluten in it from her own diet to see if it would help her one-year-old daughter, Emma. Emma had been fretful, agitated, and could not stop crying. Anne was breastfeeding at the time and within days of abstaining from wheat, Emma had improved significantly. While neither Anne or her youngest daughter have been diagnosed with celiac disease, they both are gluten intolerant. Anne started baking at home for her family. But it wasn’t until Emma started kindergarten that Anne got into baking gluten-free pastries for sale. Her husband had opened a coffee shop called Coffee Plant in downtown Portland, giving Anne the perfect venue for trying out her gluten-free baked goods. Chow and Yua Her, and their sons, work incredibly hard each and everyday tending to their acres of flowers. 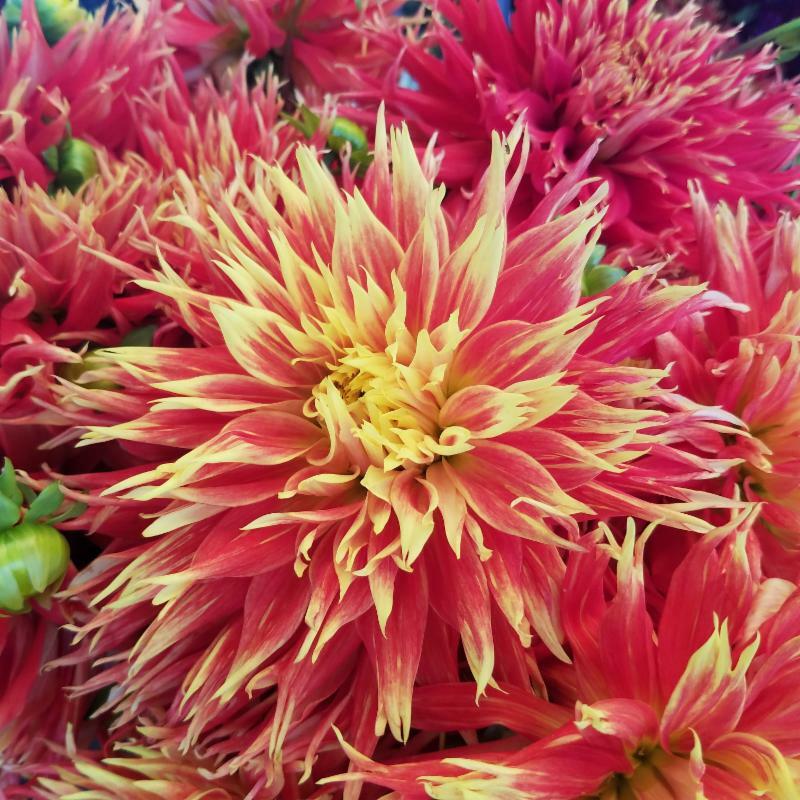 Somehow the perennial Dahlias, tubers waiting under the earth to burst forth with life, bring the most vibrant and unreal color in the fall. 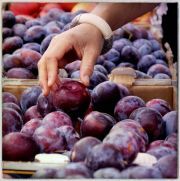 From delicate yellows and purples, to deep reds and oranges, and to pristine whites and blues. Know for their beeswax soaps, balms, and sugar scrubs, More Bees has their next new innovative products. 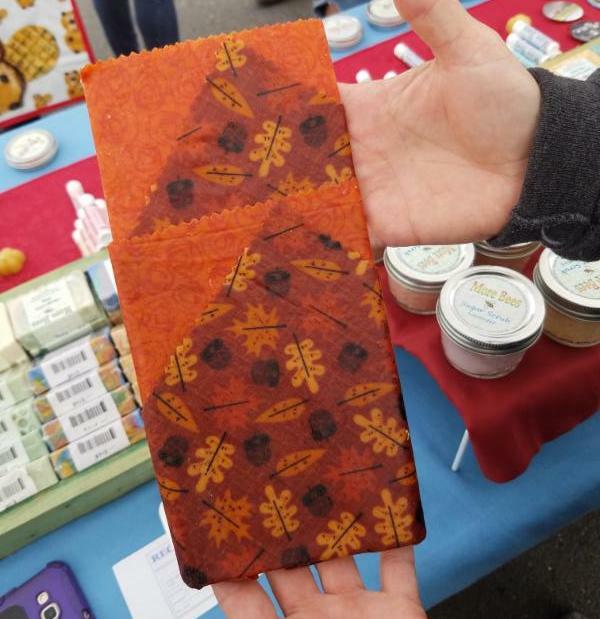 Beeswax Food Wrap is here! That's right, cloth infused with a beeswax blend makes a reusable and plastic free wrap for cheese, sandwiches, the cut side of fruits and veggies, sealing bowls, and much more. These masa dough wrapped bundles of love make an amazing breakfast, lunch, or take home for later dinner. Packed with so many vegetables and cheese they can barely stay inside, and topped with one (or all) of their delicious house made salsas, this plate of goodness will leave your belly smiling.